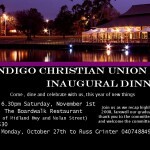 Bendigo Christian Union is holding its inaugural dinner to celebrate the year that has been and look forward to the next. Join us as we recap the highlights of 2008, farewell our graduates, thank the outgoing committee, welcome the new committee and, above all, praise God for his goodness this year. 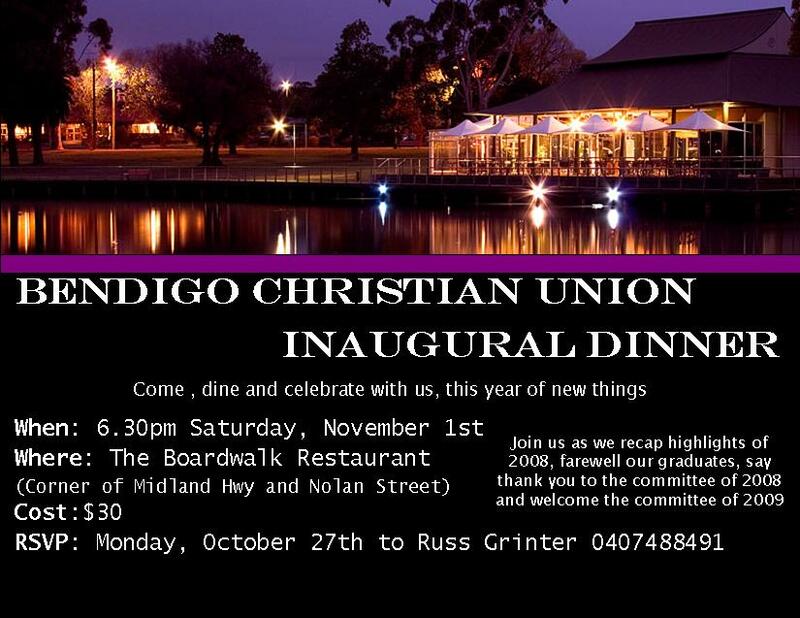 The dinner will commence at 6.30pm on Saturday, 1st November at The Boardwalk Restaurant (corner Midland Hwy and Nolan St). Cost is $30. All welcome. RSVP by Monday, 27th October to Russ Grinter or contact us.